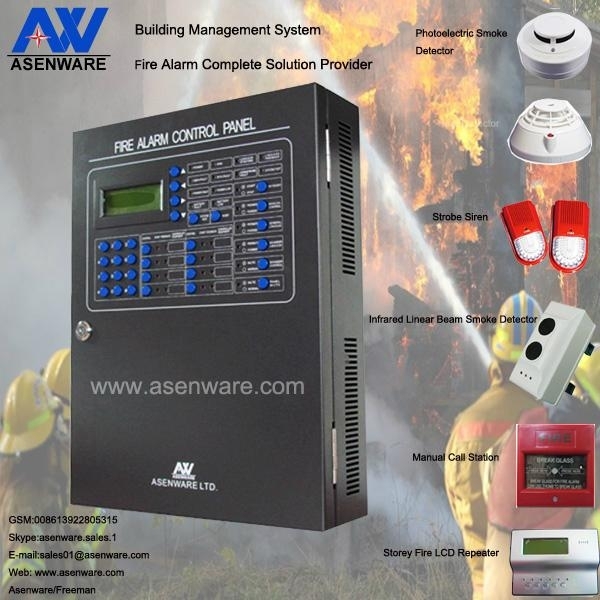 Shenzhen Asenware Test & Control Technology Co.,Ltd. Collect data:through the internal microprocessors in the intelligent detectors & modules to realize digital filtering and auto-compensation functions. be equipped with eight bus manual control points, which makes Easy for user sto control related equipment. factories, hospitals, restaurants, hotels, schools, business buildings, government buildings,etc. Accurate & efficient feedback, Humanized setting, Economic, User-friendly & convenient maintenance,etc. 5) AW-AIO2188-IN:Addressable input module to wire conventional devices. 6) AW-AIO2188-OUT:Addressable output module to control additional devices. 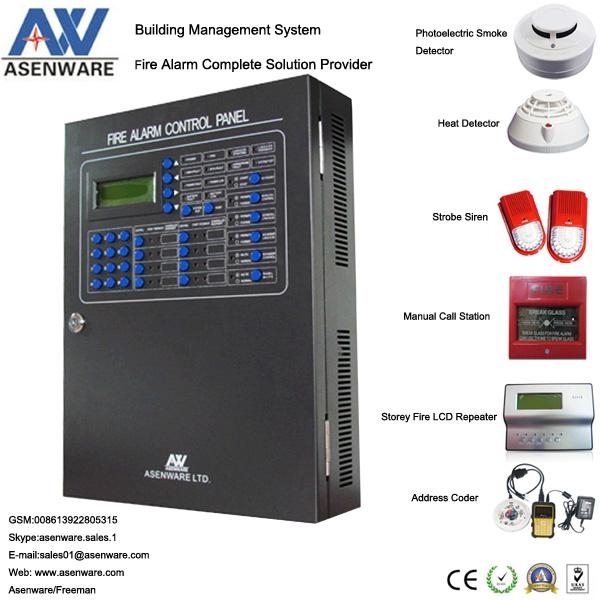 Where there is fire situation,where there is Asenware fire panels,the global professional fire alarm solution provider to secure your properties & assets. Any inquires on fire alarm or fire suppression system,below is my contacts. 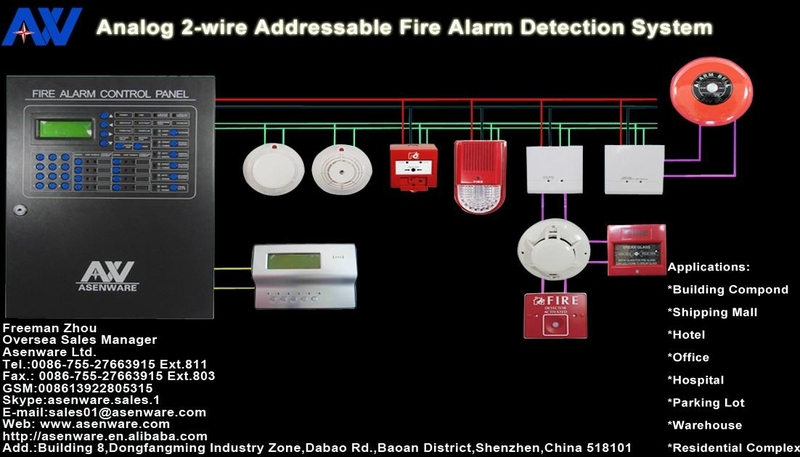 Features:12-month free warranty,modularized design,simple installation,reliable performance,endurable life,wire-saving & flexible zone/loop extension margin,etc. Installation Examples:5-star Simama Hotel,Lilongwe,Malawi,Hotel Africanna,Kampala,Uganda,Egyptian Bank & Bangladesh Garment Factories,etc. News:Congratulations to ASENWARE for the approval of the FM certificate for fire doors.